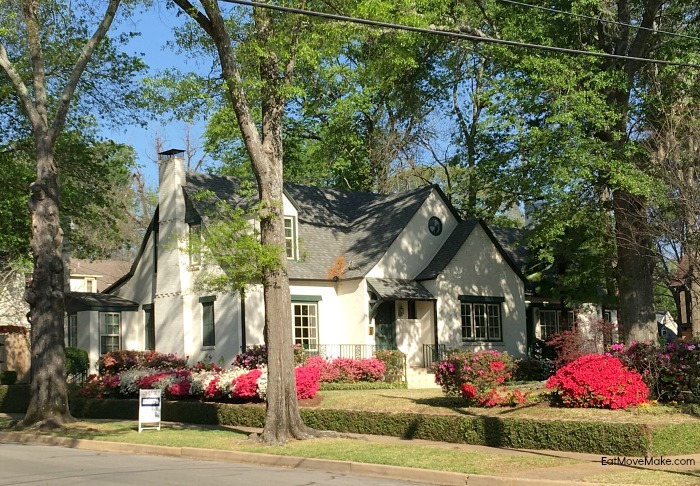 Azalea Trail Tyler TX | Historic Homes Bursting with Blooms! 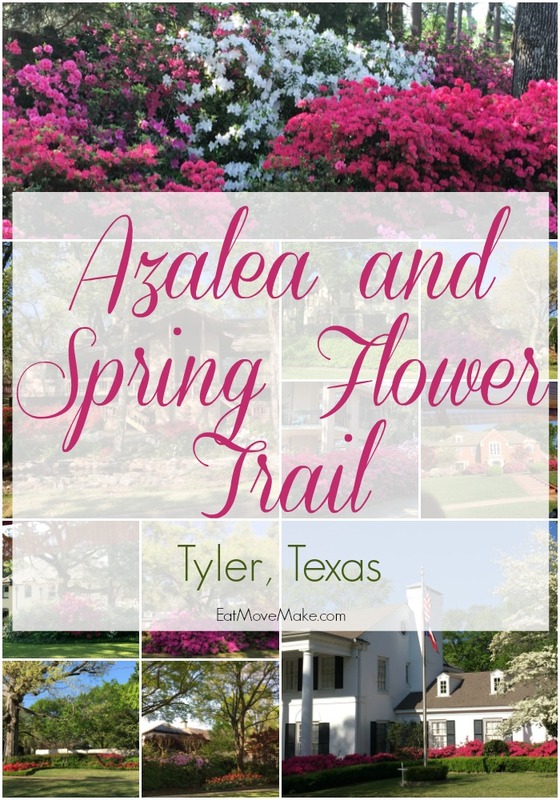 Azalea and Spring Flower Trail Bursts into Bloom in Tyler Texas! 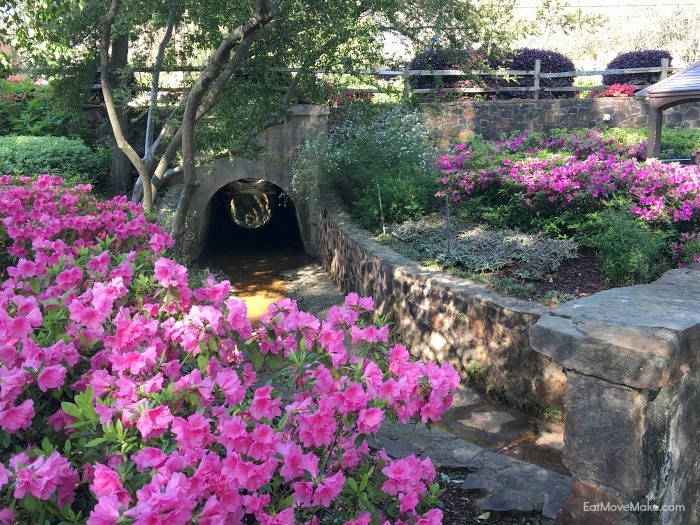 In late March and early April, East Texas bursts into multicolored blooms for the annual Azalea Trail. 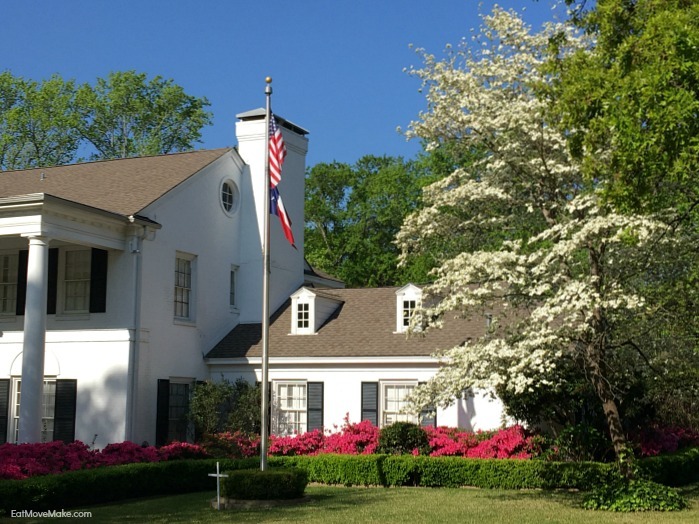 Tyler TX, a warm and inviting community plays host to the extravaganza of blossoms, and it’s a sight to behold! This year the festivities take place between March 16 – April 1, 2018. 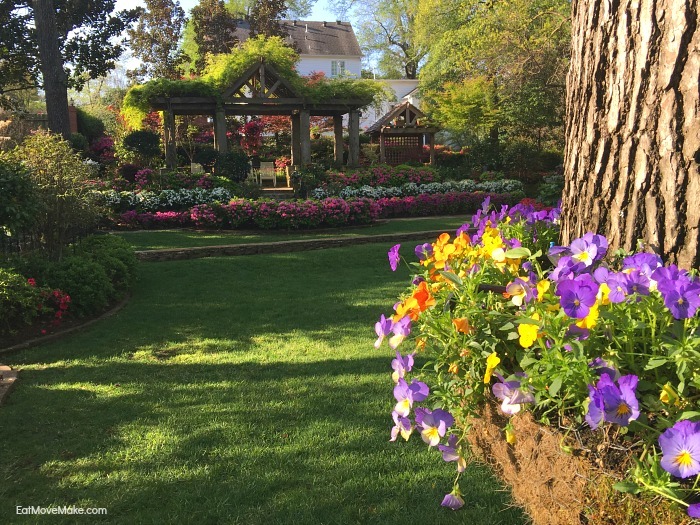 I visited on the first weekend of the event as a guest of Tyler, and the azaleas, dogwoods and tulips were in full bloom and more beautiful than I ever could have imagined. 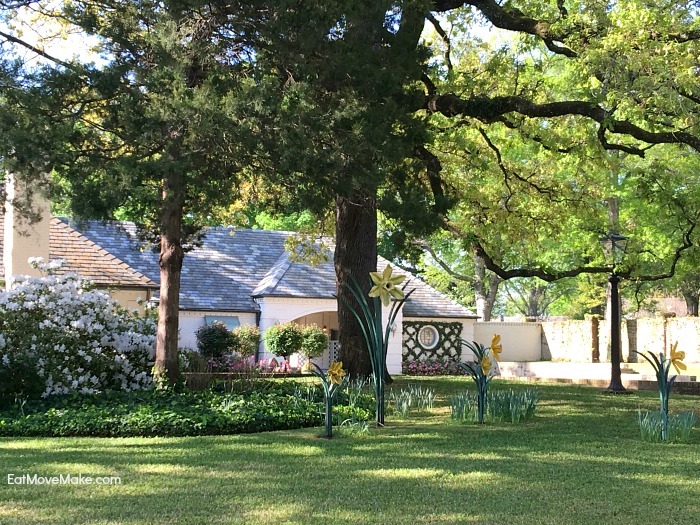 The Azalea trail winds its way through Tyler’s largest historic district of early to mid-20th century residences, many of which were built during the oil boom years, and the homes are nearly as beautiful as the flowers that adorn their exteriors. Visitors can either walk or drive the signed route, and since there are many residents who open up their gardens for a closer look, I highly suggest you do a little of both. I’d be remiss if I didn’t point out one of the most spectacular gardens along the trail, Pyron Garden, which is open for visitors year round, not just during the Azalea Trail. 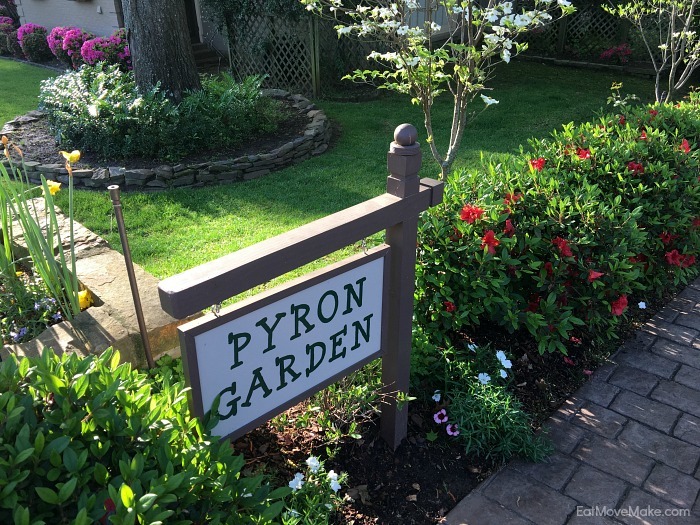 The garden is a true labor of love for the Pyrons, and their passion is in sharing its beauty, so they welcome people to stroll the grounds at their leisure. It’s a magical fairy tale garden, and I’ll never, ever forget how beautiful it was. 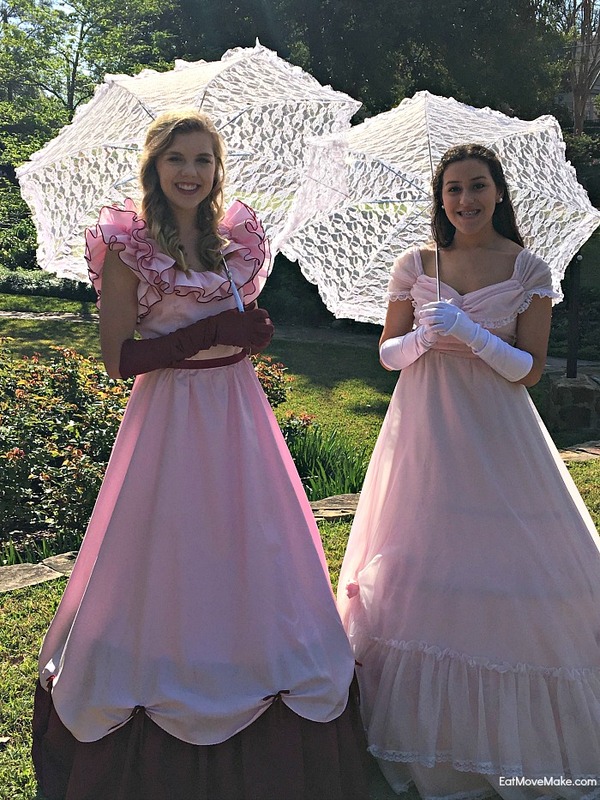 Another fun part of the Azalea Trail is the tradition of Azalea Belles. 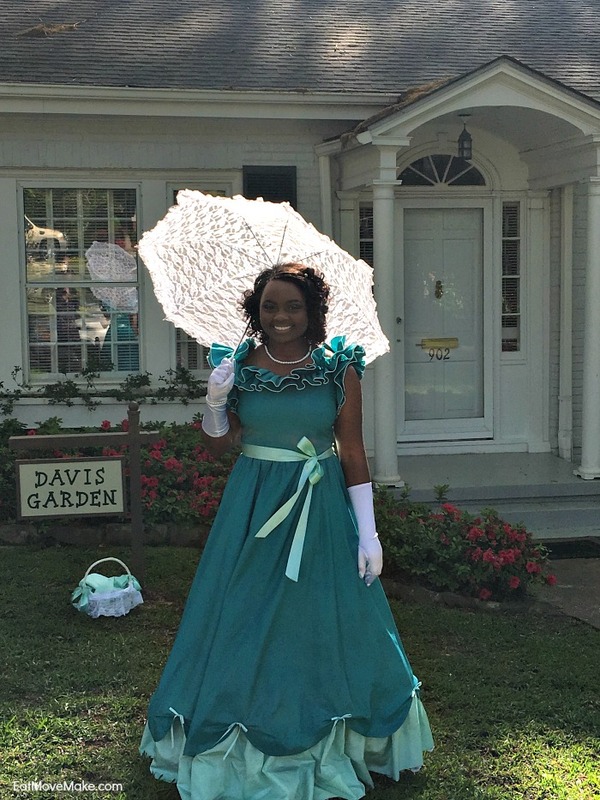 Dressed in antebellum gowns, the Azalea Belles serve as hostesses for the event by promoting Tyler, greeting guests and posing for photographs. The lovely young ladies can be found in the various gardens and historic homes along the trail. 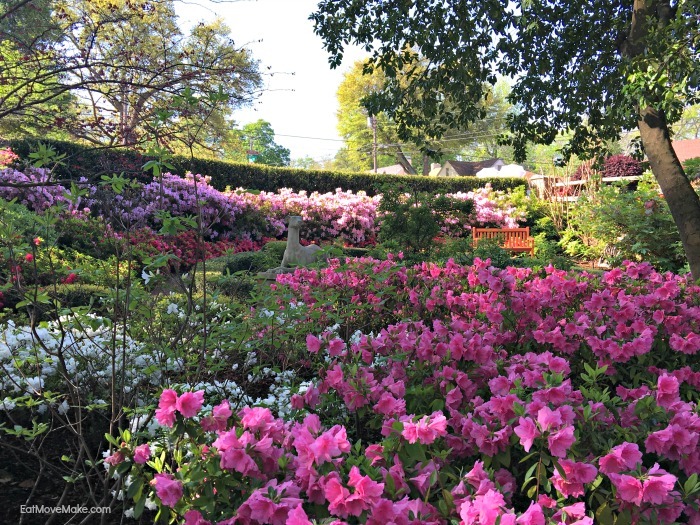 There are still two weekends left to tour the Azalea Trail in Tyler, Texas and I can’t think of a better way to spend some time. Click here for more information, and stay tuned for more on my visit to East Texas. While I have never been to Tyler…I have been to Texas and this is absolutely stunning. Thanks so much for allowing me to tag along on your views of such beauty. Absolutely gorgeous! We just can not grow azaleas like that here in Wisconsin. I love flowers! This looks like a gorgeous place to visit. I would love to check it out someday. Wow the Azaleas look so beautiful! Thanks for linking up to Merry Monday! Sharing on G+! Have a great week! Wow, this is an amazing tour I’d love to go on! They are my favorite kind of flower. Oh my gosh! Those flowers are beautiful. What a great place to visit. Awesome photos you have here. Thanks for sharing. Wow, this is a beautiful place and you took some lovely photos! I want to go here now! I love the Azalea Belles, how adorable are they! This reminds me of my college days. I went to school in Valdosta and there were azaleas everywhere there. They are truly beautiful! WOW! I think the blooms are breathtaking. I’ve never been to this kind of event before where house owners just opens up their garden for everyone. Awesome. I havent been to Tyler in forever and I had no idea this existed! 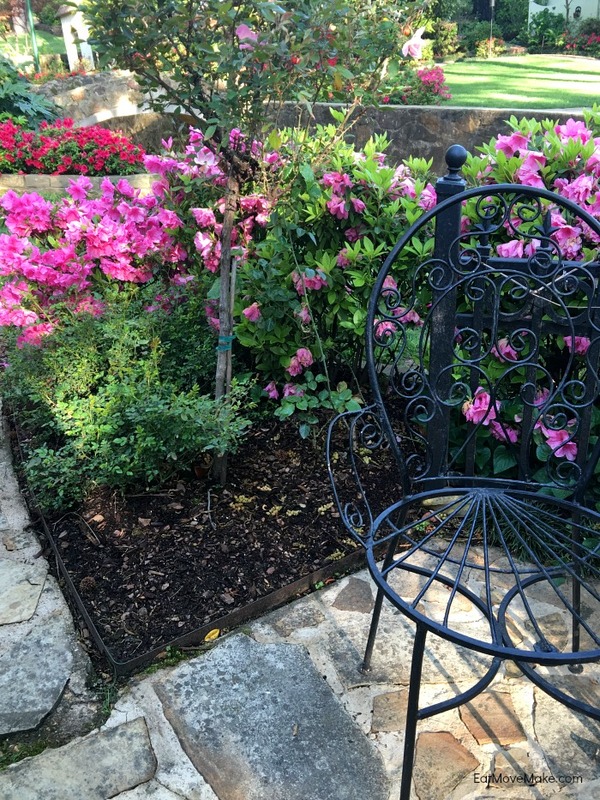 I grew up in VA and we used to have the most beautiful azaleas – this makes me so homesick! That is beautiful, love the photos! Azaleas always remind me of my grandmother. So gorgeous! I am so ready for Spring to get here and stay. We’ve had many false alarms here in the midwest! It’s so nice to see all those Azaleas. I live in NY and the landscapers just don’t plant Azaleas any more. Older homes with established yards sometimes still have them but our cold winters are hard on the bushes. oh how fun! And beautiful! I never knew what an azaela was but they look really beautiful. What stunning flowers and houses. I love the “belle” ambassadors! Oh my word, what a gorgeous place to visit. I’ve been feeling the itch to travel, and now I’m thinking we might just need to do a day trip to our local conservatory. Spring is in the air! What a beautiful place! Would love to visit, it looks gorgeous! I would like to go there too and I hope I can make it happen in coming week!! All the photos are incredible!! These are beautiful pictures! Spring always brings smiles to everyones faces. I have always loved azaleas! My grandmother had rows of them planted down her driveway. My sister and I used to pick them and bring them inside all the time. They are so beautiful! So pretty! I have never been to Texas, but Tyler seems like an awesome place! Have to say the trail of beautiful Spring flowers! Makes me want to get my camera out and take lots of photographs! Thanks for sharing! Wow, what a gorgeous place! Those flowers are going crazy! I love spring simply because of flowers like that. Those azaleas are just gorgeous. My mom and step dad had so many of them but she had to sell and downsize after his passing due to health reasons. I’d love to take her there one day for a walk down memory lane. She would love the buildings as well. I would love to go. What a great way to be introduced to Texas. The only time I have been was during a layover. It is definitely on my list of places to visit soon. Those azaleas are gorgeous. Our neighbor has some in her yard and I love looking at them in the spring. Beautiful pictures!! Spring is my favorite time of year! Love seeing everything come to life! What a gorgeous sight to see. Spring hasn’t fully arrive here yet but I am looking forward to it. This is so beautiful. I have never been to Texas. Those house are magnificent and I love those gowns. These homes and gardens are so beautiful. I would love to see them in person. I’v never even heard of Tyler, TX, but this looks like a super fun outing. Do families actually live in these homes? I’ve never been to Texas before but this looks like a wonderful place to visit during the spring. Look at all those lovely flowers. So beautiful. I love going down to Tyler for their wonderful zoo. We used to live closer, but now it’s a long trek. 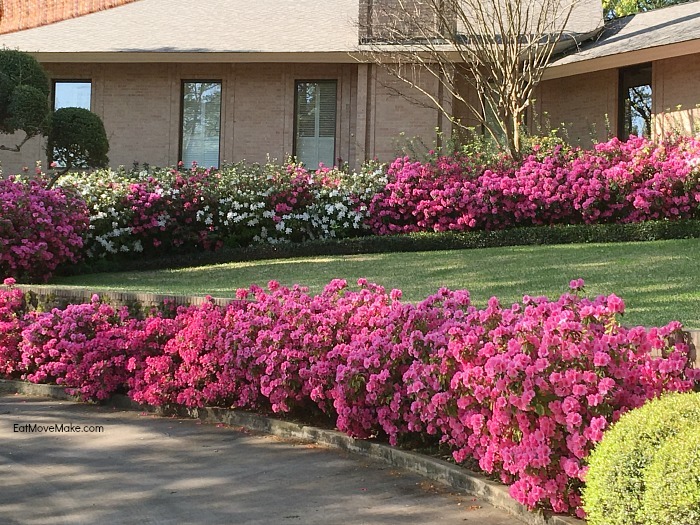 I just love the Azalea Belles, This would be so much fun to visit. those flowers are goregous!!! I would love to visit Texas sometime, every time I see someone post there, it makes me want to go so bad!! So cute and amazing bunches of flowers! Thanks for sharing! Oh woww what an amazing row of houses and gardens! Imagine living there?! It would be an absolute dream! Beautiful! I love seeing all the bright and lively flowers as its been a very long winter here in Michigan. I have several friends that live in Texas that I’ll have to let know about this hidden treasures. This is so wonderful! What a beautiful and fun travel idea. I will have to keep this in mind for the next time I am in Texas. What a fun (and colorful) event! I’ve never been to Tyler but if I do I’ll try to time it with this! I am so happy to see all the flowers blooming every where. They smell so nice too! I can only imagine the lovely scents we can enjoy while walking through the trail! This place is a must-visit for me! Oh wow how gorgeous do those flowers look! I am so happy it’s finally spring and all the beautiful flowers start to grow. What a great place! This is so perfect place! Perfect place to visit, to take some shots and enjoy all the beautiful flowers. 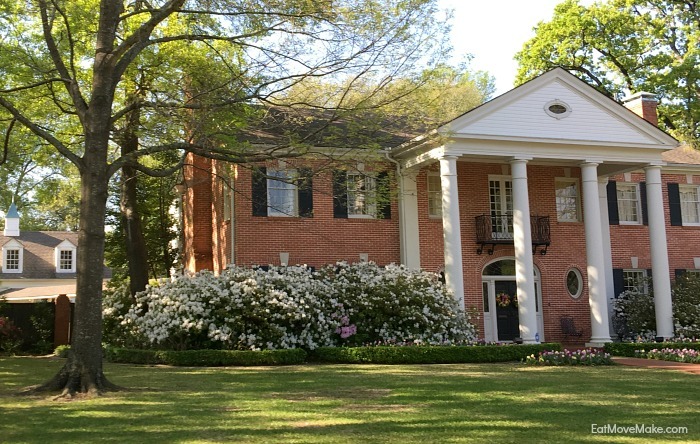 The beautiful blooms, historic houses and the Azalea Belles complete the experience! I hope to be there next year to enjoy the wonderful flowers! your photos looks amazing! those flowers are gorgeous! Just gorgeous! I am in awe of the beautifully maintained gardens! Visiting them would make for such a lovely day. Such beautiful landscaping! The colours are so bright and cheerful, love the girls dresses as well! Such a nice way to spend an afternoon. Oh how breathtaking! I plan to visit Texas in the next year, and now thanks to this post, I will be adding the trail to the list of places to visit! I have lived in the Dallas Fort Worth TX area for a long time and haven’t ever heard of this trail. I might have to visit Tyler and check out the Azalea Trail. Everything is just so beautiful! I love the houses and their gardens, each one is unique! It would be nice to be able to tour this place, I wish I was a tad nearer! Thanks for sharing this event. I just love the flowers in spring time. They are so beautiful. I must make it a point to visit the Azalea Trail in Texas this spring! How seriously pretty is that trail?! I’d love to take a stroll through and admire all the beautiful blooms! Looks great. I would definitely love to make a trip there. I could imagine that they look and smell lovely! I really do need to plan a trip. We had azaleas in California and Virginia and they always feel like spring to me. The homes and gardens in your post are beautiful! Love the girls and their gowns too. Ahhhh Texas flowers! So pretty and unique! Those dresses are absolutely AMAZING, too! I need to get to Tyler more often, for sure! This is a wonderful and beautiful place to visit! The photos are just amazing. I can’t wait to go here. I am dying for some real foliage out here in Chicago! These flowers are gorgeous. I’m sure it’s more spectacular in person! I’ve only ever been to TX once and it was Houston. I’ll remember this location now. I am totally swooning over those gorgeous historic houses and love how different each of them are. We see very little flowers blooming here in the desert, so experiencing these festivities would be so much fun! I love your pretty pictures. And the one house reminds me of my old house my husband and I sold last year. Everything looks so colorful and beautiful, id love going there sometime, dressed properly for the occasion, of course ;). The main thing I love about spring is the beautiful blooms. I love the girls wearing those period dresses. I grew up on a street named Azalea so I have alwyays loved the flowers! How beautiful with all the flowers, your pictures are truly wonderful! I’ve always thought Azelea’s were so beautiful in bloom… stunning photos by the way! 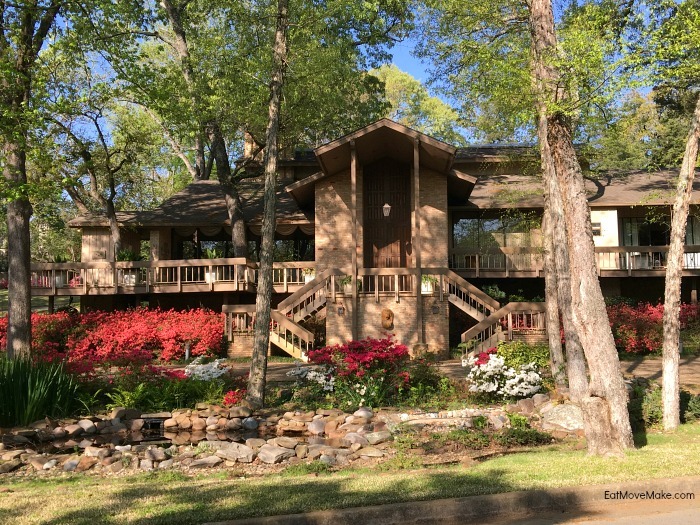 What a gorgeous place to Visit and take a look around and see the blooming Azaleas. These are such pretty flowers and the sunshine is so pretty right now. It is dreary where I am at! Well that sounds and looks beautiful. Funny I was born in Tyler Texas. I left there for Arizona when I was 5 so I don’t remember much, but your pictures are beautiful. What a fun place to visit!! I love their dresses and I love all the flowers on their grounds. Oh wow. This looks like a beautiful trail to walk upon. I am sure everyone had an amazing experience. I love azalea flowers and those are perfect. Love the dresses too. The flowers and dresses are BEAUTIFUL! I wonder if they would grow in PA. I will have to check it out! Those flowers, houses and old fashion dresses are amazing. Sounds like tons of fun. Beautiful pictures. I have never been to Texas but it is definitely on my list of places I’d like to visit! This looks lovely. The flowers are gorgeous and the garden grounds look so well-maintained! Looks like a perfect springtime activity. These are simply gorgeous! I love the color and beautiful views. I would love to live near where these are at this time of year. Those pictures make me long for spring here in the northeast! My one poor azalea would love to live in a garden like those! These pictures! Totally gorgeous and I am jealous! I can’t wait for Spring up here in New England. It will be a lot longer before we see anything colorful out here. These homes are so lovely! I’m a huge gardener so I love seeing flowers in bloom – and um, those outfits are darling! I love period pieces so seeing this makes me so happy!! All of the flowers are so pretty and I would love to see them in person. I also love the dresses the ladies were wearing. Beautiful photos! I love azaleas and rhododendrons as well as dogwoods. They do not do well for me here in Indiana as the soil is not quite acidic enough. We do have a native dogwood but I have not had luck with it either. Thanks for sharing! This looks like an event I would love to attend someday if I am ever in the area. There’s something so lovely and relaxing about looking at bright, fresh flowers. This trail looks like such a beautiful place. I’d love to visit this and walk through the garden! Beautiful gardens, I love azaleas but I can’t grow them! Oh my God, that looks beautiful. I love a well ept garden. You can tell these gardeners have a true passion for what they create and the fairytale garden looks truly magical. I have never seen such beautiful locations. Even in the UK, there are never as astounding as some spots in America. The 4th picture is like my ideal home, quite jealous that I would never get such a beautiful home in the UK! That is one of the most beautiful sets of scenery I’ve ever seen. 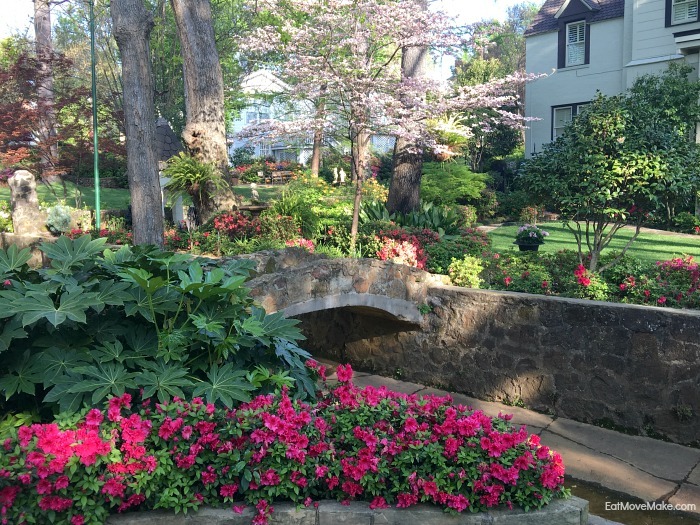 The Azalea Trail is a different kind of flowering beauty. I love all of those blooms next to that wonderful architecture. I would love to stroll down the streets of the Azalea Trail. The blooms are so beautiful, and I can only imagine how wonderful it must smell. Oh wow, I love azaleas, such pretty colours 🙂 Fantastic photos! They are absolutely gorgeous, I agree. I need to visit Texas! How absolutely gorgeous! I love all the colorful blooms next to that old-school architecture. It’s the picture of beauty. What beautiful surroundings! My brother in law lives in Texas and has been asking us to visit. I’ll have to see if he’s near this place. absolutely beautiful! I can’t wait until the flowers start blooming in New England. Spring is always a great time of year. Just look at those colours of the spring flowers – isn’t nature just stunning? Incidentally, I’ve heard of a newborn baby today, named Azalea – How pretty. The dresses are the stuff of childhood dressing up dreams. I now have a strong urge to visit Texas! Ditto! I have wanted to go to Texas for a long time anyways, but this makes me want to go more. The place looks amazing! I’ve never been to Texas, but I would love to go there one day. The ladies look lovely! I love their outfits. They look so lovely. Oh my, this place looks beautiful! I’ve never been to Tyler, TX. It looks as if that is a pretty nice vacation destination to add to my bucket list. This is a beautiful place, it looks perfect for a wedding reception.